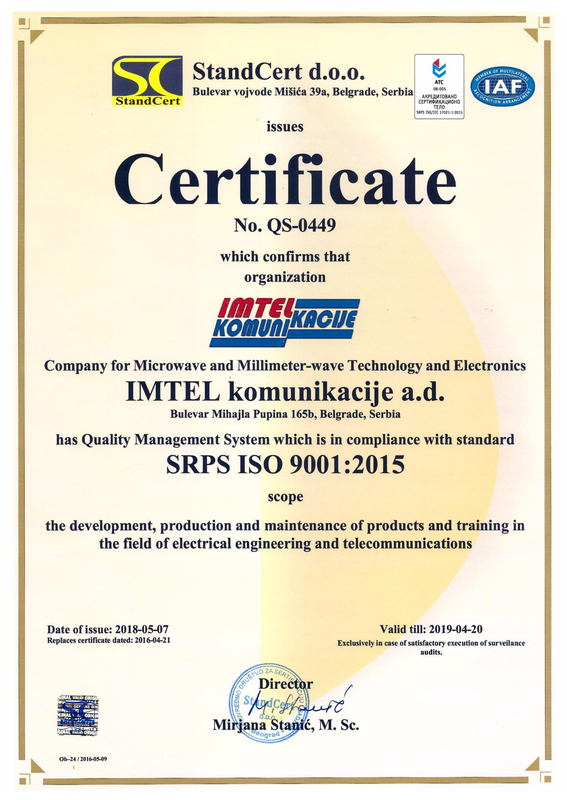 IMTEL ad Communications, Institute of Microwave Engineering and Electronics is a company with a very large research and development potential, which is the establishment of the R & D in the field of microwave technology, electronics and signal processing. In the framework of which the first year (2008 and 2010.) achieved significant results have to: a patent, 63 technical solutions, 9 papers in international journals, 4 papers in national journals, 22 papers in international conferences and 24 papers on national conferences. Copyright IMTEL Communications a.d. 2017.